The GeekVape Creed 25mm RTA is a stylish, and well built RTA that maximizes airflow, has a two post build deck and a larger than average 6.5ml eliquid capacity. This newly designed RTA has three airflow slots that are adjustable and help deliver amazing flavor to the vaper along with intense cloud creation. 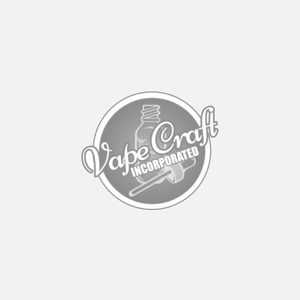 The standard glass that comes with this RTA allows 4.5ml ejuice capacity, however with the bulb glass this can be extended to the prior mentioned 6.5ml capacity. Available in Stainless Steel, Black, Gunmetal.